Today's card for ScraPerfect was inspired by the colors and sketch #70 @ Your Next Stamp. 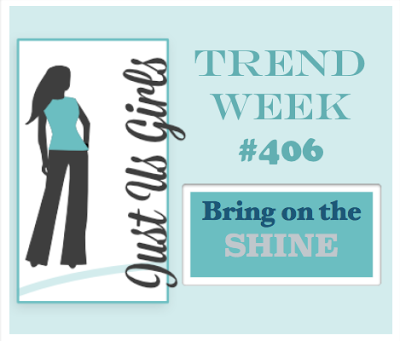 I will also be entering it @ Words to Craft By for "Vacation", Stamp, Ink, Paper for "Travel" and @ Just Us Girls for "Trend Week: Shine". 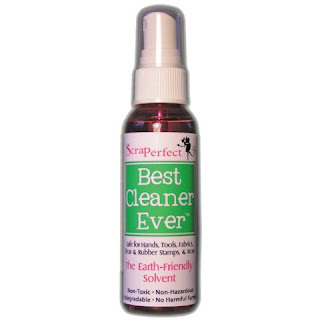 The ScraPerfect products I will highlight this time are the Best Glue Ever, the Best Cleaner Ever and the Transfer Foils. Using a scrap of brown cardstock trimmed according to the sketch, the Copper sheet of Transfer Foil and a light coating of glue on the stamp, I applied it in a similar manner as to this video here -except that I used a sponge to apply the glue to the stamp and cleaned it up right away using the Best Cleaner Ever. After stamping the design on the cardstock, I did give the glue a bit of a chance to set up on the paper before I laid the foil on top. I then used a small bone folder to help burnish it to be sure the whole design transferred. 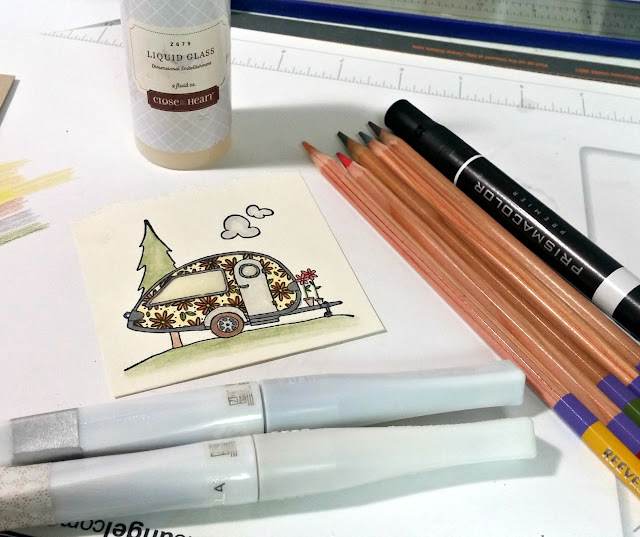 The image from Unity Stamp company was inked in black on ivory cardstock and the coloring was done with colored pencils and Wink of Stella pens...Clear was used on the clouds, door and bumper while Silver was used on all the gray trim of the trailer. I added Liquid Glass to both the windows to give them the dimensional look of glass. I used a black Micron Pigma pen to hand draw the stitched edges around the red patterned paper. 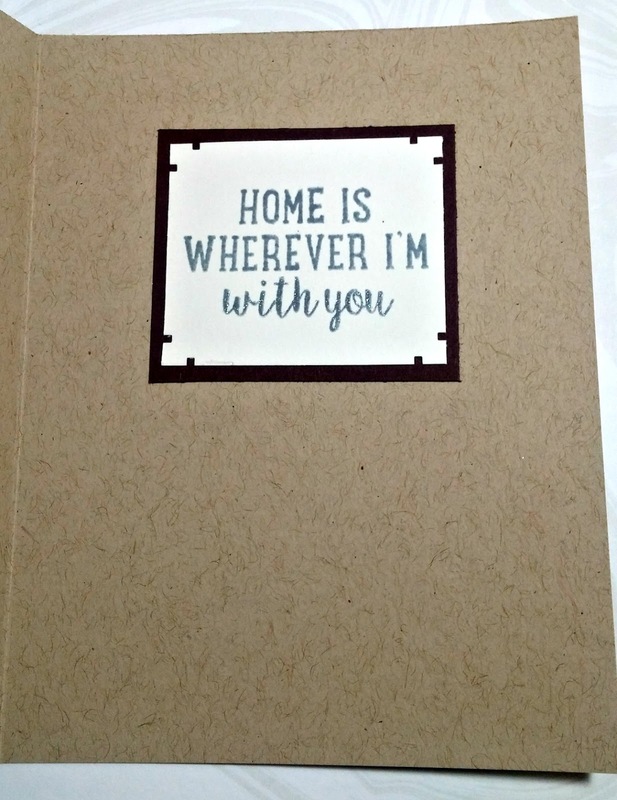 The sentiment banner was hand cut, stamped in gray ink, embellished with a large antique brad and adhered to the card front with foam tape. The last foiled accent was added to the sentiment strip using a strip of red-liner tape. All patterned paper layers were then adhered to the A2 sized kraft card base using the Best Glue Ever. The camper focal was added using foam tape. Inside I stamped a sentiment from CTMH in gray ink on an ivory scrap, punched the edges with a southwest corner and layered it on dark brown cardstock. I did trace over all the script lettering on the card using a StarDust glitter gel pen for added sparkle! 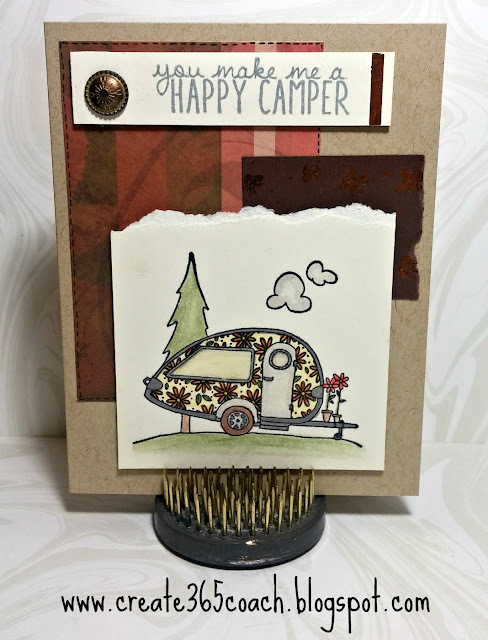 Hope you give Transfer Foils a try -they are very "on trend" right now and so fun to experiment with! 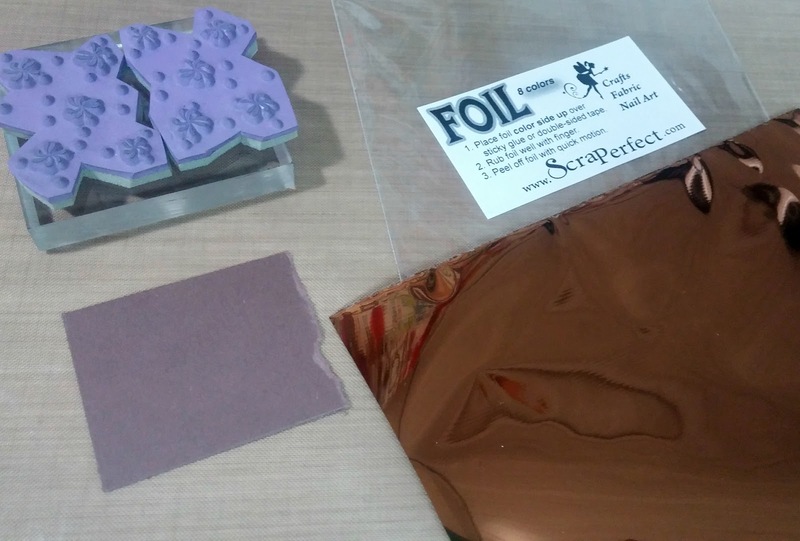 Until next time -happy crafting with ScraPerfect! What a cute little card. 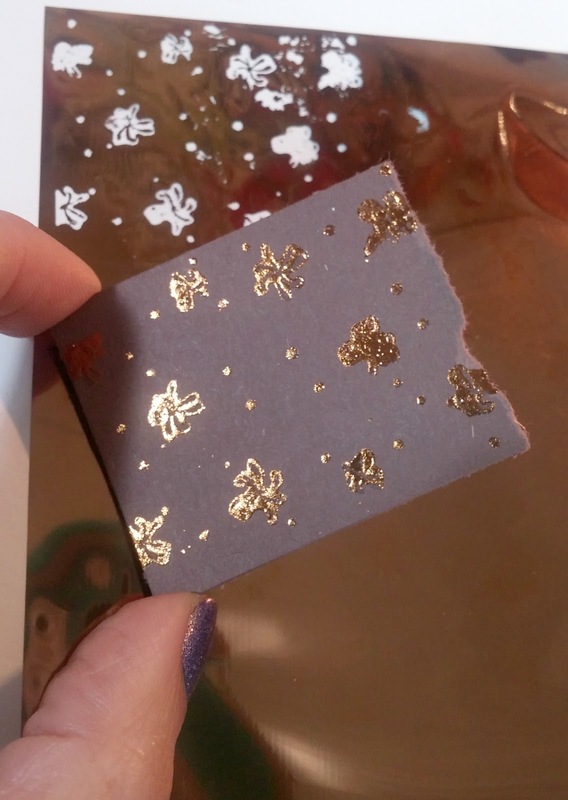 And I love how you have done the foiling, thanks for the link to the video! Your design is just great, so well thought out. Great take on the challenge, thanks so much for playing along with us this week over at Just Us Girls!! 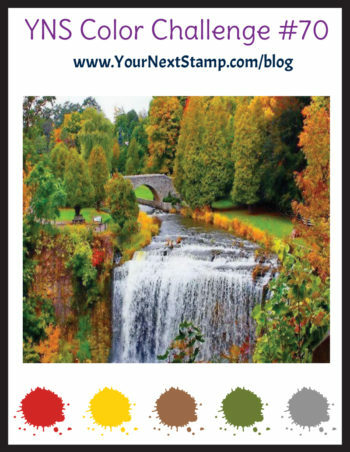 thank you Darnell -I love following your work too! Your card is just adorable, Kathy! 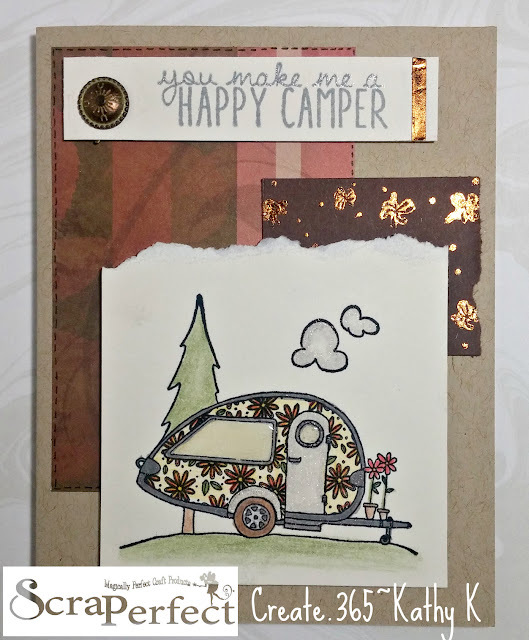 I love your focal image and how you've colored it and accented the windows so they're glossy and trimmed the camper out in silver - great touches! That camper is just too cute!! 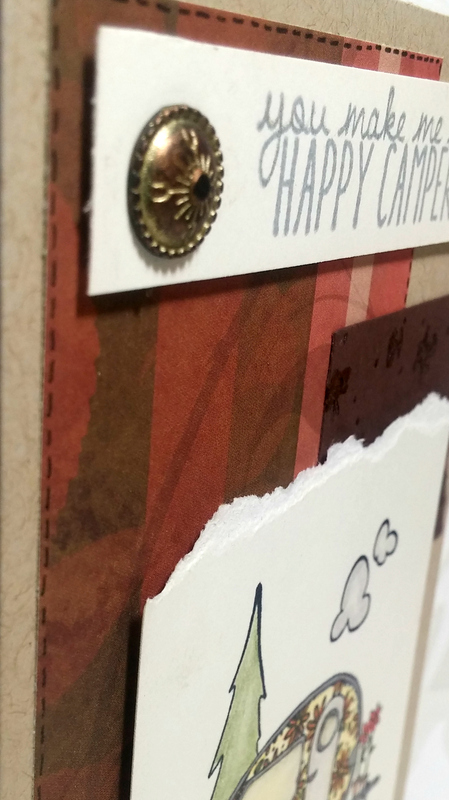 Your foiled accents and antique brad finish your card off beautifully. Thanks for playing along with us at Words2CraftBy for our Vacation theme! Super fun retro trailer! Great touch of shine too :) Thanks for joining in at JUGS! Love the sparkle and shine! Very nice card, Kathy. 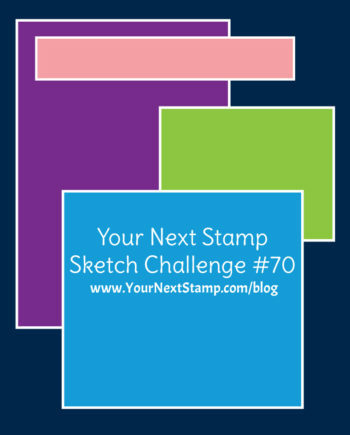 Thanks for joining the challenge this week at Stamp, Ink, Paper. you must try -it is addictingly fun, lol! You Hold the "Kiwi" to my Heart!